There are a range of health and safety risks posed by dangerous, overgrown trees, which pose an immediate risk not only to garden owners but also to the public. As a garden owner, you have a degree of accountability in ensuring that your trees are secure within the confines of your garden. This is where we can come in to help. At A&A Abloom Ace we provide tree lopping and felling services to ensure both safety and the healthy maintenance of your garden. We offer to safely remove dangerous or unsightly trees from your property in an environmentally friendly and controlled manner. If you require any of these tree lopping services in North Shore, Sydney wide, our qualified arborists are on call to help. 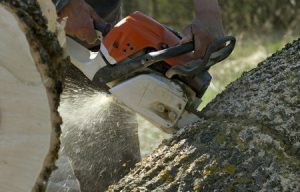 Beyond this, we also provide a stump grinding service to eliminate these risks for the foreseeable future, leaving you with more space in your garden, as well as peace of mind. We are also able to advise you on how to complete council tree preservation forms in order to make these changes happen. If your trees are perfectly healthy and safe we also offer a thinning and pruning service to help keep your garden trees both hardy and aesthetically pleasing. These trees maintenance checks will ideally take place on a bi-annual basis to ensure that your trees remain trim and pleasing. This service extends towards the removal of deadwood and unsightly branches. A&A Abloom Ace are available 7 days a week for all aspects of tree lopping, felling and removals Sydney wide including North Shore and to help maintain or remove your garden trees. 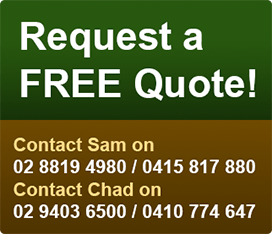 You can contact us online, or call us on 0415 817 880 / 02-9403 6500.